Reverse dieting sounds like an oxymoron, but it is quite literally dieting in reverse. 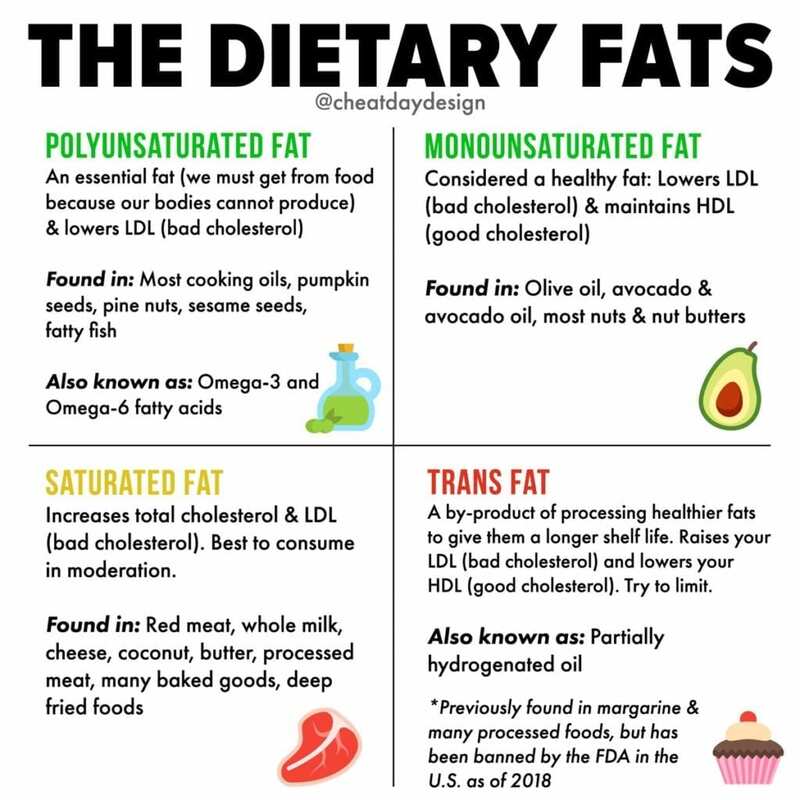 In other words, a reverse diet is slowwwlllyyy increasing your calories over time, rather than a traditional diet where you slowly decrease your calories over time. The main problem with traditional diets is that most people gain the weight right back after they lose it. Why? When you diet, you eat very low levels of calories. But once you hit your goal, you go back to your normal eating habits and add weight back faster than you lost it! 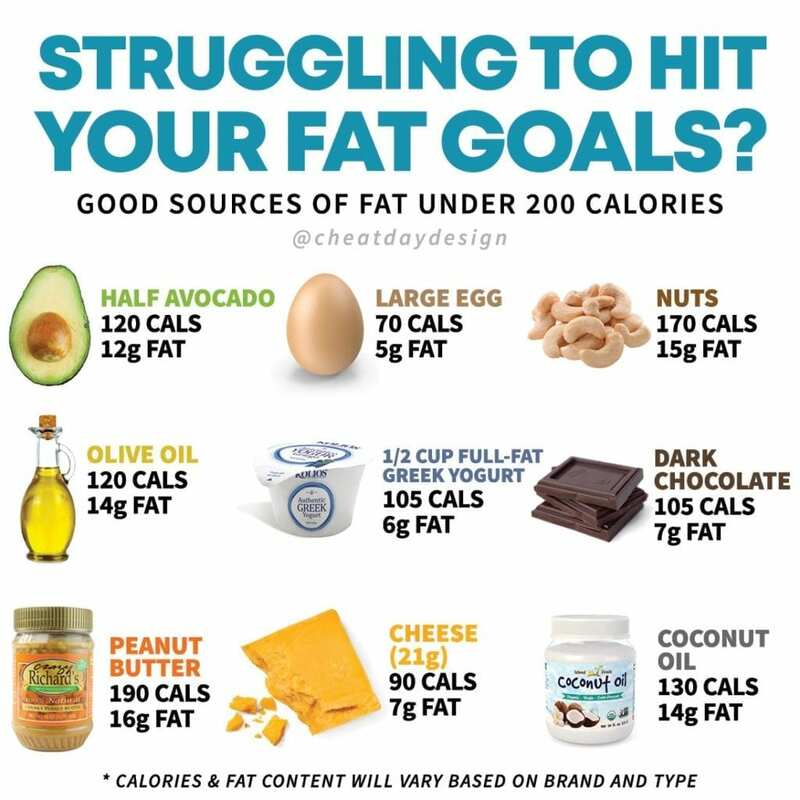 This is because your body has adapted to the low calorie levels, so when you suddenly eat more, your body is quick to store those calories as fat in an effort to preserve as much energy as possible. Your body doesn’t want you to starve, so it is trying to save you from yourself! Enter the reverse diet. 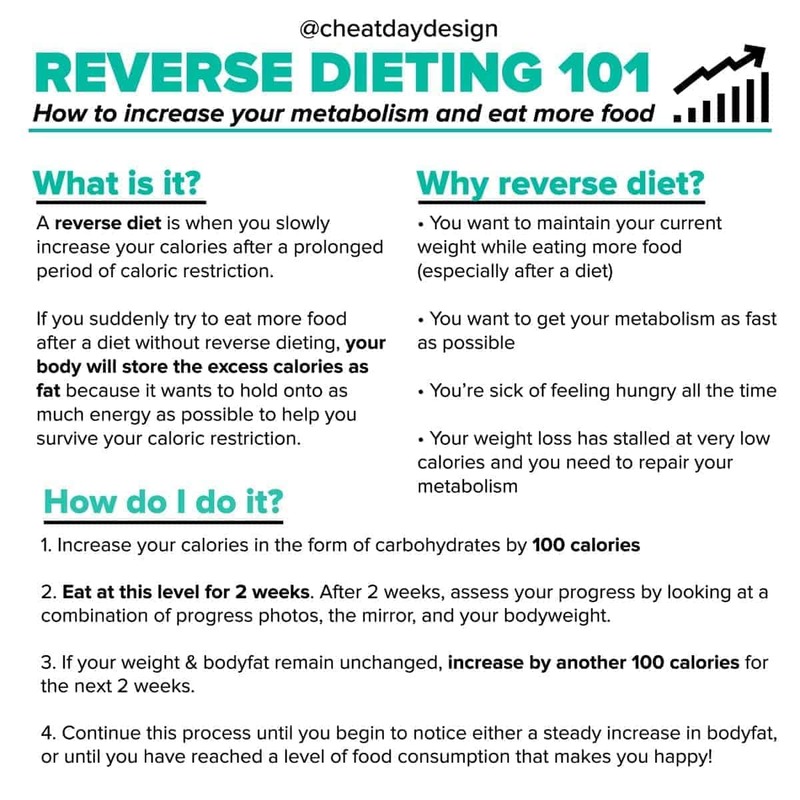 If you have been in a caloric deficit & losing weight for a long time, a reverse diet is very beneficial in order to get you back to maintenance level calories without adding fat. 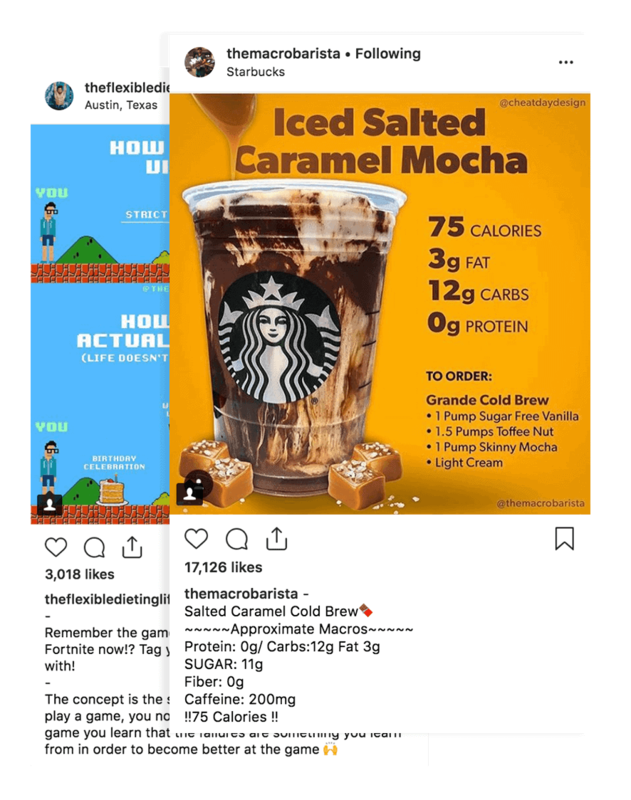 Now, there are no hard-set rules to reverse dieting, but this is the method I always use: After a diet, I add 100 calories to my current intake (as carbs, in most cases) and do that for 2 weeks, then assess where I’m at. Most of us don’t have access to accurate bodyfat measurements, so use a combination of progress photos (highly recommended), the mirror, and the scale. 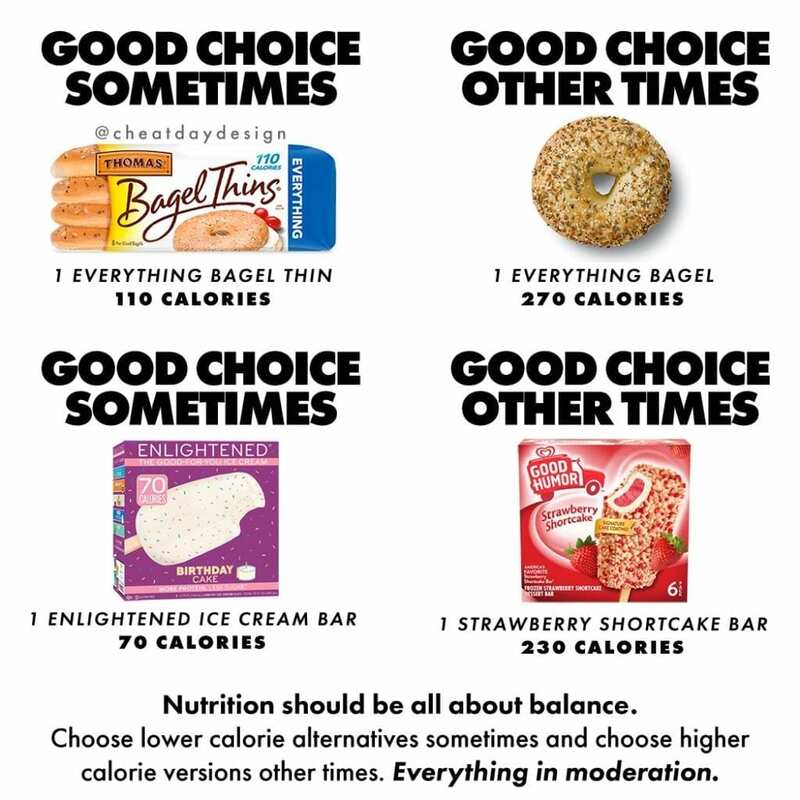 Keep in mind that weight fluctuates day to day, so don’t base this solely on the scale! Do this until you’ve reached a level you are happy with (but be patient, it will take months!) 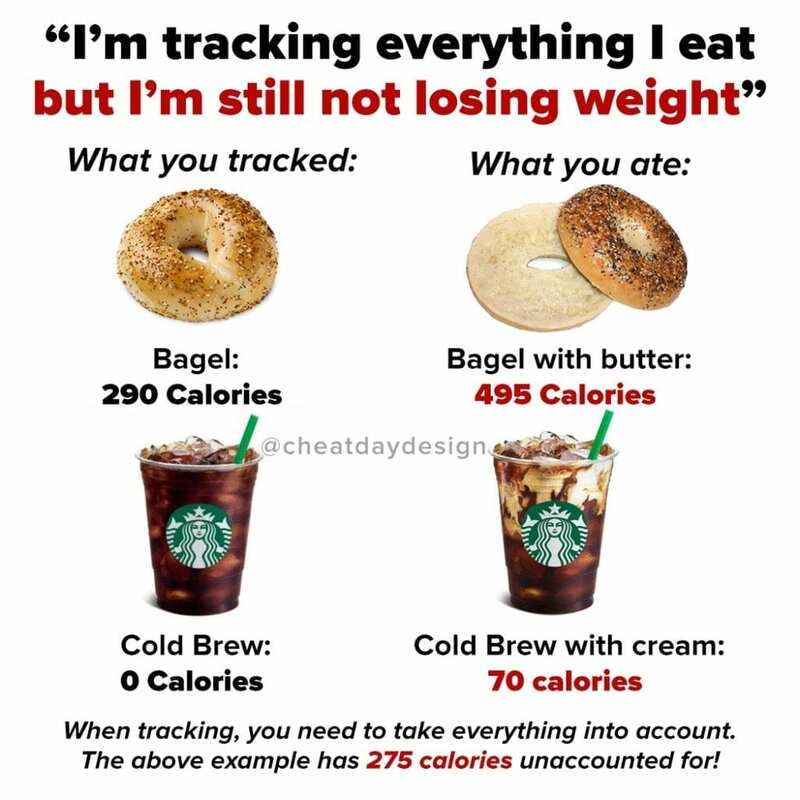 Either you reach a point where you are satisfied and happy with the amount of food you are eating, or you reach the point where you begin to notice weight gain and cut your calories off at that point. Reverse dieting is very simple in theory, but difficult in practice. However, it is an incredible tool to help you increase your maintenance calories and repair your metabolism after a diet!